Watch our short video to learn more about flashbacks and nightmares and how you can manage them. You can also read more information below. Following bereavement it is not uncommon to experience nightmares and intrusive memories about the death and even moments surrounding the death, especially if we witnessed traumatic scenes. We cannot always predict which experiences in particular we are going to find traumatic. A trauma is any situation in which someone is at serious risk of physical harm or death. When a traumatic situation prompts intense feelings of fear, helplessness or horror, there is risk of developing post-traumatic stress symptoms. Some of our members have expressed feeling the most distressed about certain aspects of their loved one’s treatment rather than the moment of death. Losing a loved one in any context is traumatic but losing someone to cancer often involves a number of traumatic experiences from diagnosis to treatment to palliative care. You may find that since your loved one has passed away certain memories intrude into your mind without you choosing to think about them. This can be very distressing because these memories are often very painful to think about. The brain reacts to trauma in a particular way that stores our memories of these events in a different state to normal memories. 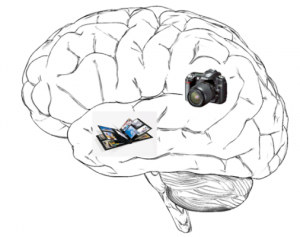 There are two memory systems in the brain that work in tandem. One is like a camera taking pictures of senses (sights, sounds, smells) and emotions, the other is like a photo album that puts these pictures in order that makes sense and sticks it on a page. Once you have turned the page you know that the memory has happened in the past and can go back to that page by choice. 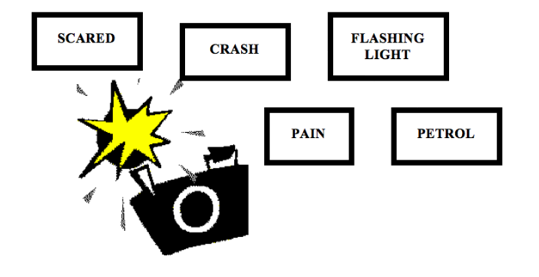 The following example describes a car accident but the same process applies to any traumatic event. The increase in blood flow causes the camera to go off rapidly taking pictures of everything around you and noticing how you are feeling at the time. Because the photo album has shut down these snapshots have nowhere to go so they float around unprocessed in your brain. This is why when you enter a situation that is similar to one of the photos or feel a similar emotion to the one felt at the trauma the traumatic memory keeps popping back into your head. Naturally when things make us feel bad or scared we will try to avoid them. So what ends up happening is that we try to avoid situations or people or places that cause our snap shots to pop up. However by avoiding our snaps shots they remain unprocessed floating around in your brain ready to pop up at the next available opportunity. If you manage not to avoid these snapshots then your brain will gradually learn that the worst moment is over and no longer happening in the present. As a result flashbacks and nightmares should naturally decrease with time. However for a proportion of people these difficulties do not go away. In these circumstance trauma focused therapy can help reduce distress. 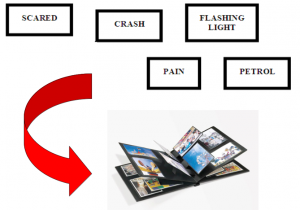 The aim of trauma focused therapy is to take your snapshots and put them in the photo album so that YOU can decide when you think about the memory rather than it popping up at surprising moments. This is done by going back over the memory with you and helping you to process it in a way that makes it more stable and less disorganised. If you are suffering with any of the above symptoms on a persistent basis it may be worth visiting your GP to seek support. If you have any questions about any of the above do not hesitate to get in touch with us via the Contact page. How do I adapt to loss? How do I approach bereavement?